Recently, I had the joy of sitting down for a visit with Karen Southwick. On a cold and icy day, visiting with Karen and Karl in their home felt warm and cozy – full of smiles and laughter, quiet reminiscing, and optimistic views of the future. Karen and Karl have been at Evangel since its beginning, and are some of the vibrant threads that are woven throughout the beautiful tapestry that Evangel has become. Together, they have enjoyed watching many children in the church grow up to become leaders in the church and community. With a wistful, yet resolute, look in her eyes, Karen told me that she doesn’t remember a time when God wasn’t a priority for her parents – her parents set an example of attending and serving in their local church. 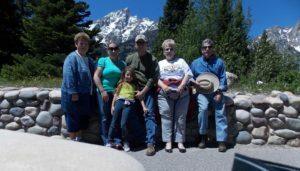 This had a tremendous impact on Karen, and set a lifetime pattern of commitment to the local church body. 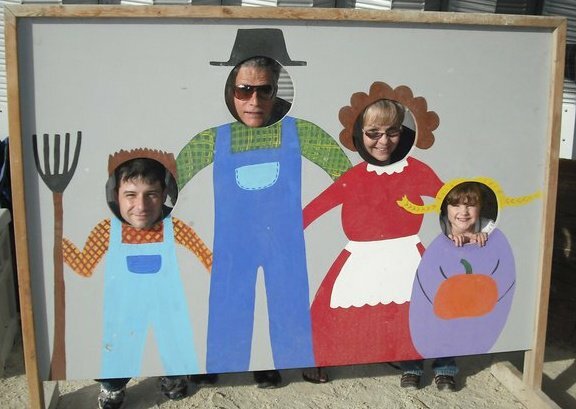 Karen grew up in a farmhouse outside of Haysville, where she lived with her parents and younger brother, Charley. Her father worked for the Air Force as a civilian inspector at Boeing, and her family also helped their landlord with harvesting his crops on the farm where they rented a house. When Karen was 10 years of age, Karen’s family welcomed her friend Janice into their family routines to give her some respite from a struggling home life. 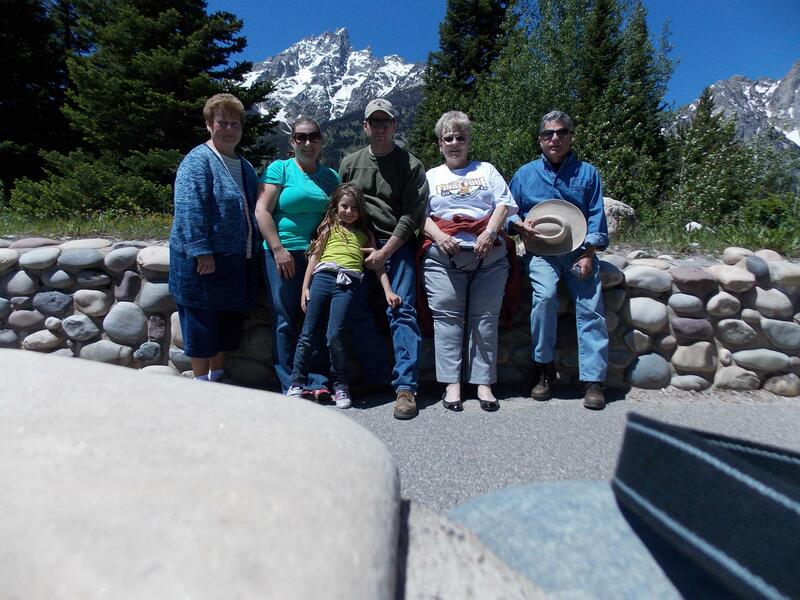 This was just one of the many ways that Karen’s parents lived out their profound faith in God in their daily lives. With a wistful, yet resolute, look in her eyes, Karen told me that she doesn’t remember a time when God wasn’t a priority for her parents – her parents set an example of attending and serving in their local church. This had a tremendous impact on Karen, and set a lifetime pattern of commitment to the local church body. Reading was always a favorite pastime for Karen, and she loved to take a blanket into the cornfield when the corn was tall, put it down between the rows, and lie on it while reading and listening to the noises around her. Her favorite books were biographies, and her favorite subject in school was history. She also always loved sports, and PE was another favorite class. She had hoped to become a PE teacher, but was told that was not an option because of her arthritis. Looking back, she says, she wishes she would have been more resolute in chasing that dream, but also realizes that God worked through that situation to direct the path of her life. 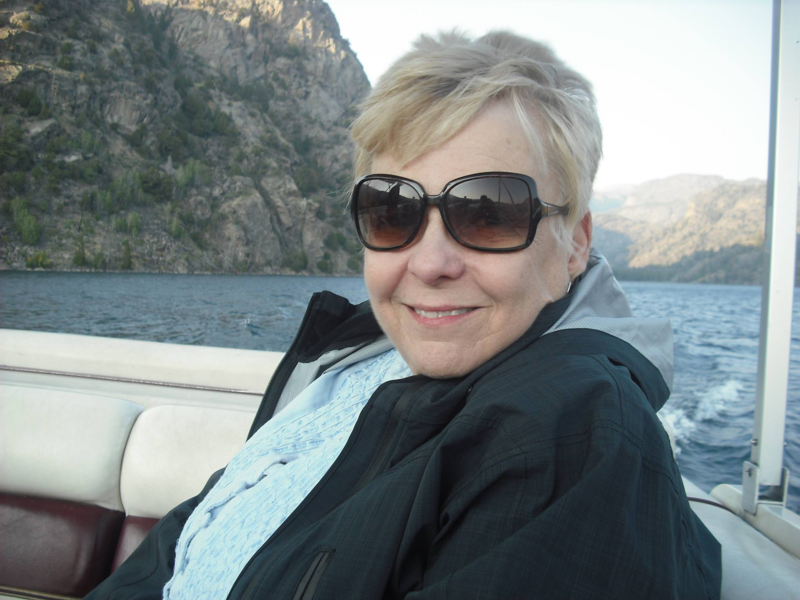 Karen has always enjoyed sewing, quilting, art, and creative projects of all kinds. She sewed the dress her friend Janice would wear as her Maid of Honor. Currently, Karen’s favorite type of project is to paint rocks, put encouraging or witty sayings on them, and leave them around town for a city-wide project called ICT Rocks. She happily mentioned that she loves decorating, and would love to have chased a dream of interior decorating, as well. Her love of beauty, her focus on faith and truth, and her gracious view of people are qualities that have shaped her life. Almost 3 years to the day after they got married, Karl and Karen welcomed their daughter Julie. Seven years later, their son, Jason, was born. With a twinkle in her eye, Karen said that staying home with her children was a true and complete joy. 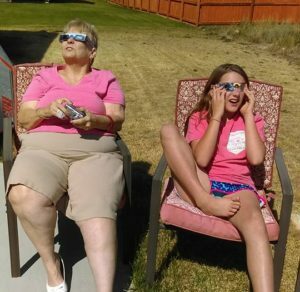 She jokes that, while she was a “stay at home mom”, she was rarely home, but was instead kept busy supporting the classrooms her kids were a part of, being a scout leader, teaching Sunday School and VBS at church, and generally doing the things that needed to be done. Karen said that some of the most valuable early lessons she learned as a mother were simple, yet had a profound impact on her effectiveness as a mother. She remembers learning early on to be a good actress – when she felt panicked inside, as we all do when our babies fall down, she learned to remain calm on the outside. She also learned to admit to her children when she was wrong and apologize to them. Finally, she remembers intentionally listening to Christian parenting tips on a popular radio show whose programming was designed to inform, encourage, and inspire parents. She and Karl also drew wisdom and strength from remembering how their parents had raised them. They are now the proud grandparents of 8 grandchildren (7 living) and 3 great-grandchildren (2 living) who bring them great joy. 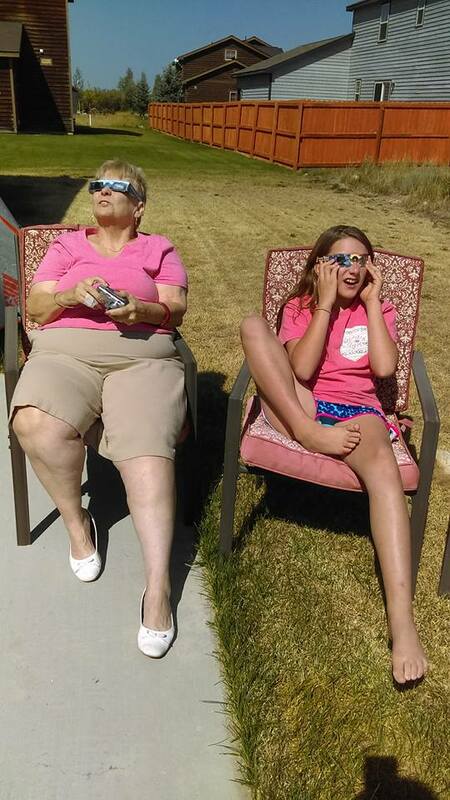 Karen and her granddaughter watch the solar eclipse. After almost 49 years of marriage, Karen has a beautiful perspective on how marriage ought to be approached. “Don’t expect your spouse to be the one who makes you happy. Know your identity in Christ, and let your happiness and joy come from there.” She also said that keeping a sense of humor and not sweating the little things have been staple skills in keeping a marriage healthy and happy. Karen (second from right) and Karl (right) with family. As conversation turned to matters of faith, Karen said simply, “If you’re serving God first, then everything must run through that filter.” Decisions, crises, and the daily to-do list all become opportunities to see God working, to follow His direction, and to practice trusting Him, though it can be exceedingly difficult. A verse that Karen has held close to her heart since her baptism is the last part of Matthew 28:20, “…lo, I am with you always, even unto the end of the world.” Karen has been encouraged by this verse through many different situations over the years, including and loss of loved ones, a middle-of-the-night house fire, and many surgeries and physical struggles in recent years. She recalls falling on the ice at Subway on December 1, 2015, lying there with a badly broken leg, remembering that verse, and saying to the Lord, “I know you are with me! What are you teaching me?” She continued to ask this question each day from surgery through rehab, and each day, she experienced God’s strength and provision. He gave her two friends at her table in the rehab hospital, both in their 90’s, who encouraged her in the faith daily. He encouraged her through her family and the people of Evangel. Karen and Karl spread joy wherever they go, and they derive joy from Christ in all He places before them. This interview with Karen Southwick, which appears in the March 2018 Evangel News, is the third in an interview series for 2018. We look forward to getting to know various people in our congregation, and, as we do so, stirring “up one another to love and good works” (Hebrews 10:24). Kendi Fiscus is the Vice-President of Evangel’s Women’s Ministry Team.